Term One of our Digital Creativity course has come to a close and students at Corpus Christi College have thrived. Over the past ten weeks, Year 7 and 8 students have ignited their creative spirits by freely expressing imaginative ideas in innovative ways. 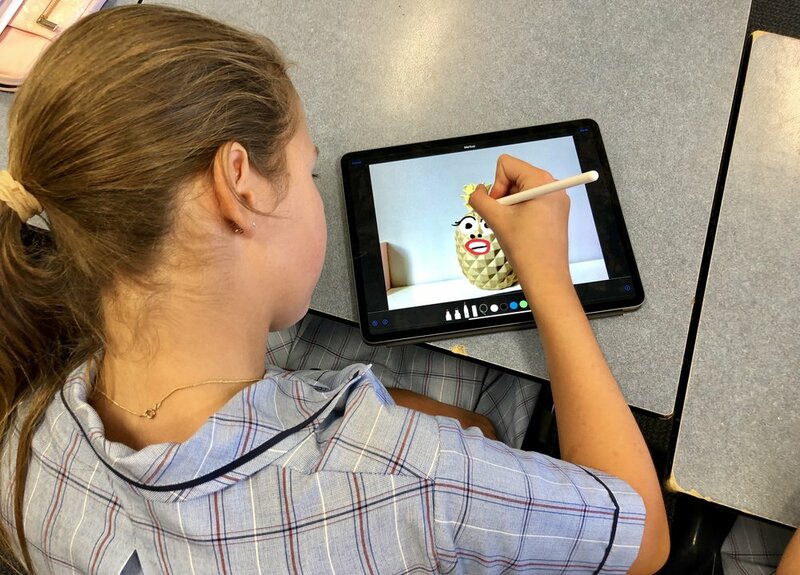 Based on Apple’s ‘Everyone Can Create’ curriculum, the course has empowered students by teaching them core iPad skills which encourages learning through photography, drawing, audio and video. Each week, students have learned new techniques such as how to take and edit stunning photos making proper use of angles, lighting, contrast and composition. With an Apple Pencil, students have used the ‘Mark-up tool’ to add drawings to photographs to tell stories. 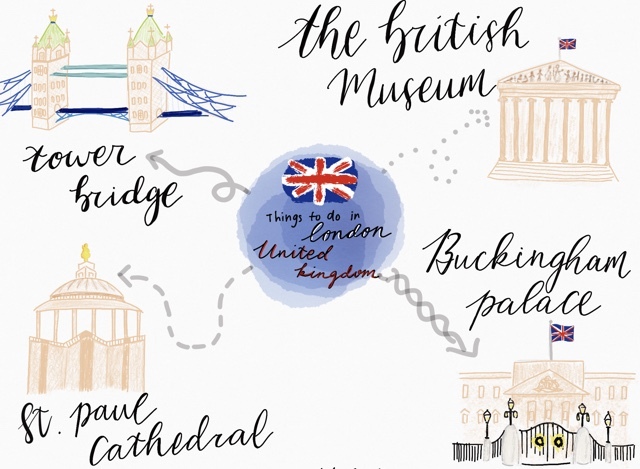 Sketch-noting has enabled students to draw concrete examples of abstract ideas and Apple Clips has allowed students to record videos that include words, effects and graphics. Digital Creativity supports the College’s Vision for Learning, ‘Ignite the Spirit’ which has connection, curiosity, challenge and creativity as its pedagogical foundation. 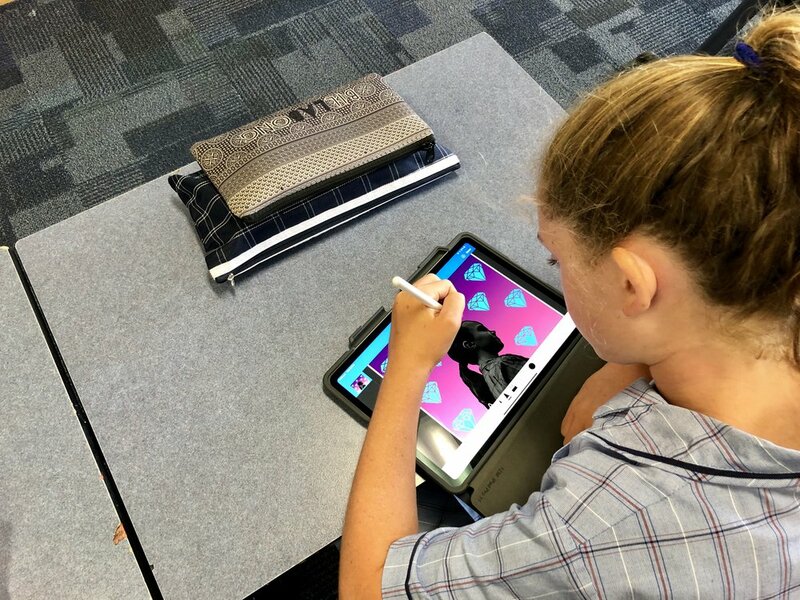 By building a culture of creativity with an iPad, Year 7 and 8 students have discovered new talents and developed innovative ways to show their learning. We are beginning to see drawing, photography, video and audio being integrated into curriculum classes. If you’d like to see more Digital Creativity, check out the hashtag, #CorpusCreates on Twitter for snap-shots of the course in action. You can also download Apple’s ‘Everyone Can Create’ project guides free from Apple Books.